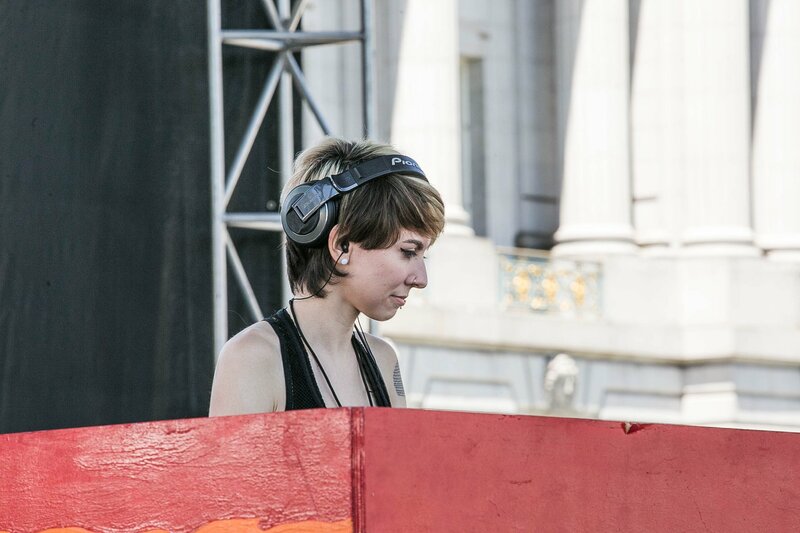 San Francisco's Kudeki does it all: she co-runs Noctuary alongside Alex McGeagh to bring women and nonbinary artists to the forefront in the Bay Area and beyond, works and DJs at Public Works, and has her own monthly at Bar Fluxus. 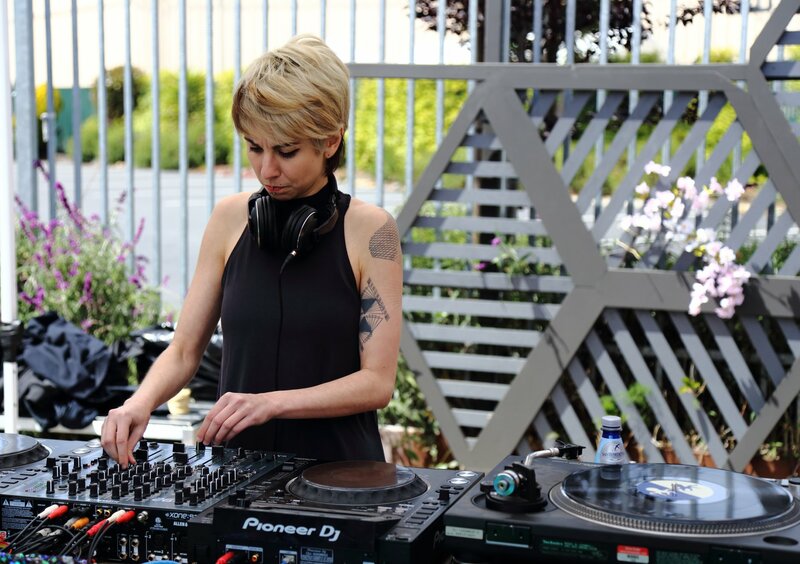 In addition, she maintains a busy DJ schedule, adapting to everything from Burning Man's Berghain analogue to daytime bliss at San Francisco Pride. I’ve been playing a lot lately so my podcast process has been to take some thread from across a couple of gigs and synthesize that into an hour long narrative. This one comes out of shows I did in December in the italo / electro / new wave direction. I tried to stick to the 80s vibe throughout but vary the moods involved. There’s some structural symmetry in that the beginning and end are fast and kind of sad, and the middle has more energy but is slower. I did this mix entirely in Ableton, mostly while staying at my friend’s house in dark & rainy Seattle right around the new year. 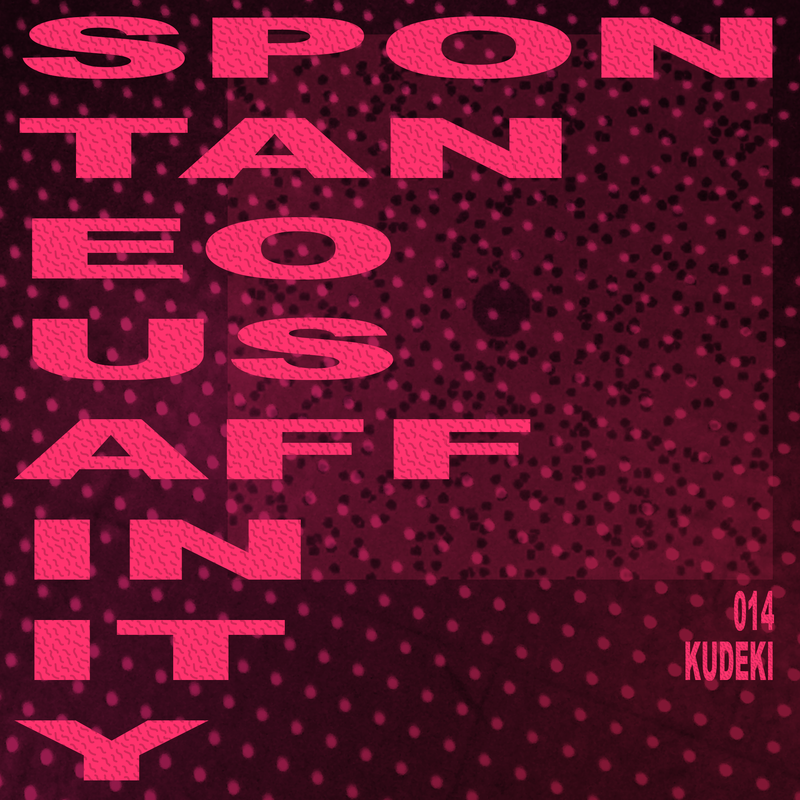 Speaking to the vision behind Spontaneous Affinity, I tried to include a few tracks that had personal history / music community moments attached to them as well. "X Marks the Pedwalk" was shazamed at the High & Tight NYE party we were both at, the Shinra track and "Autophobia" were specifically shown to me by music friends, The Hacker played one of the top sets I saw in 2018, and "Not In Love" is one of the tracks that takes me back to two different specific moments in my life, six years apart. Emotionally, whatever music I make in December / January takes on the winter vibe quite naturally. I’ve never had a lot of holiday traditions/obligations so I usually enjoy a lot of alone time and the time to reflect. I had a very crazy year, mostly in a good way, I was very free but also a chaotic mess a lot of the time so while I was working on the mix I was thinking back on all of that being appreciative and also like wtf. Another part of my general music making process is that everything I make is about Something, but I usually have to listen to it a few times after it’s done to figure out what that is. So I don’t know what this one is about quite yet, but if I had to take a stab at it, it feels like it has something to do with the internal struggle against one’s own mind. I’ve been based in San Francisco for almost 7 years, but my relationship with the city is kind of dysfunctional by now. I’ve been through too many life phases & changes here, arriving fresh out of university, starting two careers and cycling through different friend groups, jobs, relationships – it feels like a graveyard for my 20s at this point, all while the city itself trends more homogenous, expensive, and boring. A friend just moved back to the mission after many years and is like, “hi I’m here for the wake”. That said I’m obviously still here, so I’ve had to redefine my relationship to the city as I’ve fallen out of love with it. At this point I consider San Francisco my place of work since most of my gigs and opportunities are here, and because it’s a career-focused city. I travel as much as I can, fill up on fun & inspiration elsewhere and try to bring the vibe back a bit. As to the contribution side, I’d say my efforts are all in the realm of “bringing more techno to San Francisco” across a few projects. 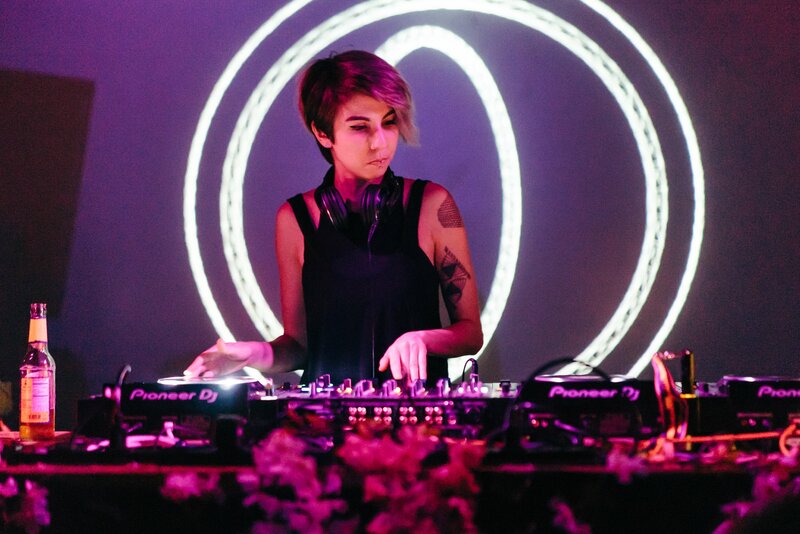 My crew Noctuary books women & nonbinary house & techno artists, and most of our headliners are SF debuts. It’s so nice to connect with artists at that point in their career and welcome them into our city & scene. They have a great energy and the experience feels fresh and exciting for everyone. I also work for a club here, Public Works, doing marketing and occasional DJing, have a monthly at Bar Fluxus, and of course there’s my own gigs. So I feel engaged with the scene at least, and whether that’s inspiring or not depends more on how things are going at any given moment. Hmmm both are so important! On the individual side, I very much appreciate that music is a realm in which I can do whatever I want with complete creative freedom. I also try to use music (DJing, producing, and dancing) to process my feelings / as self expression or journaling. But I’m extroverted and quite motivated and influenced by community. A good track that really resonates with you is very pure - you feel it in your body / mind / soul, yet my love for a good party is nearly as intrinsic. And of course, nothing is more powerful than the right music in the right setting. I can often trace back musical taste changes to a single dancefloor experience, or social shifts in my life. I’m maybe a bit stubborn about not pandering to a crowd / crowdpleasing, but I think a natural alignment to how others in your circles perceive music is pretty unavoidable and feeds back into the development of your own taste & ear. I have a complicated relationship to social media but it can be kind of summarized by that tweet that in the 90s we used to go to the internet to escape the real world and now we go to the real world to escape the internet. I spent most of my youth hanging out on the internet, then spent early adulthood building social media products (4 different companies at various stages of day job life), and now I use it primarily for music promo & events. Now the negative mental health impact of social media seems obvious, but it was a gradual disenchantment with using my time and energy to make these super addictive ad delivery mechanisms. That’s part of what drew me into the events world - it feels good to deliver a tangible experience to people that they are willing to pay money for. However, I met my partner on Noctuary in a Facebook group, 95% of my inbound bookings come via Facebook Messenger, and while Instagram feels like one of the worst things to happen to the world in the last decade, it’s by far the best place to engage directly with people following my music journey. So social media is pretty important, I just really hate that I can tell you on any given day how many likes my Facebook page has, and how much time we as promoters collectively waste thinking about The Algorithm. Everyone is swapping tips on how to minimize usage too, setting up all these protections against it is somehow also a time consuming endeavor. I found Slagsmålsklubben googling around for Swedish music before I moved there and was super into them, then saw them perform at one of the student clubs. I afterpartied with them (like you do) except that I think that was maybe my first afterparty ever??? Insanely fun night. This song & video really capture that wholesome Scandinavian fun. The first DJ mix I ever listened to on repeat (like, 100 times at least) was one that came out right as I was moving to San Francisco - SomethingALaMode’s Spring/Summer 2012 mix. This was such a fun era - I wouldn’t start DJing for another year and I wouldn’t know what house or techno was for like two more years, but it was the first time I connected with the DJ mix as a format. Unfortunately I only have the first 27 mins downloaded at a crappy bit rate, so if anyone happens to have the whole thing PLEASE SEND IT TO ME!!! Anyway the track list is still live, I guess this is bloghouse?? Here’s a quintessential SF activity - throwing a renegade on Twin Peaks at dawn. This also came at a time when I was struggling both musically and personally so I think this night/morning carried me pretty far.